Social enterprise Addventageous was set up by Charlene Bordley after she regained confidence as a returning cyclist later in life. She wanted other people to experience the same freedom that comes with being on two wheels. 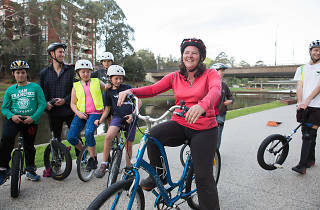 Now, every weekend, there are accredited cycling coaches available at Parramatta River foreshore to help teach basic bike skills to anyone who’d like to know. They use donated bicycles, which are available to hire (along with helmets) for $10-$15. 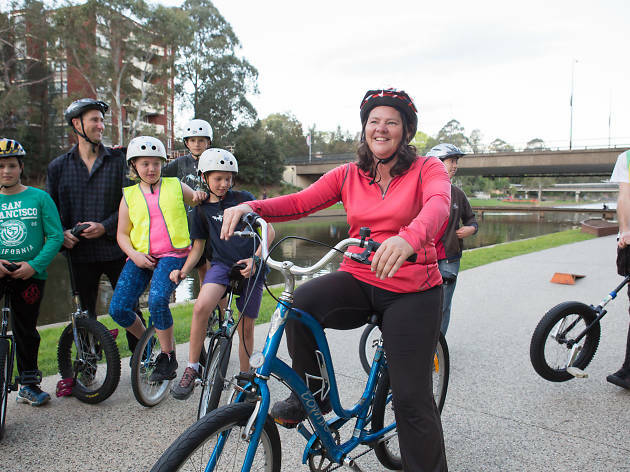 They have a repair program to maintain their bike fleet, which is organised with help from disadvantaged youth programs to give teens new skills, and they have a bike library so that people within the community can pay a small fee to purchase the bicycle over time.